I’ve been working on getting more material together for the community content programs of various tabletop RPG publishers. While it rarely causes a vast sum to fall into my hands, it does involve a steady — if modest — stream of income to roll my way. The idea for this adventure was born out of necessity: I was asked to run an impromptu adventure for three people late on the last day of GameHole Con in Madison, Wisconsin in November of 2018, and this is the idea I came up with. The main concept is that it be a short adventure: playable in two hours or less. It was meant to be an adventure that would work well at future conventions: there’s a clear goal, a limited amount of time to investigate and tackle the problem, and also a limited number of elements to deal with. After running it from some bare-bones notes I made on the fly, I sat down at home afterward and put my notes in order. I ran this same adventure — now from a full write-up, rather than just notes — twice at Midwinter in Milwaukee in January of 2019, and it worked well. The few tweaks I’d made helped keep things moving, and the pre-generated characters I cooked up were well-suited to the adventure. All three times I ran this adventure — with a completely different group each time — the players were able to finish the job in under two hours without much coaching from me. While I’m very happy with the map, it took months — almost a year — for the project to “earn out” and cover my expenses. Vampire: the Masquerade is a popular line: I knew I would have a much lower rate of return from the Scarred Lands community content site, the Slarecian Vault: unfortunately, despite being a setting that uses the Fifth Edition Dungeons and Dragons rules, without that official branding most gamers take no notice of it. 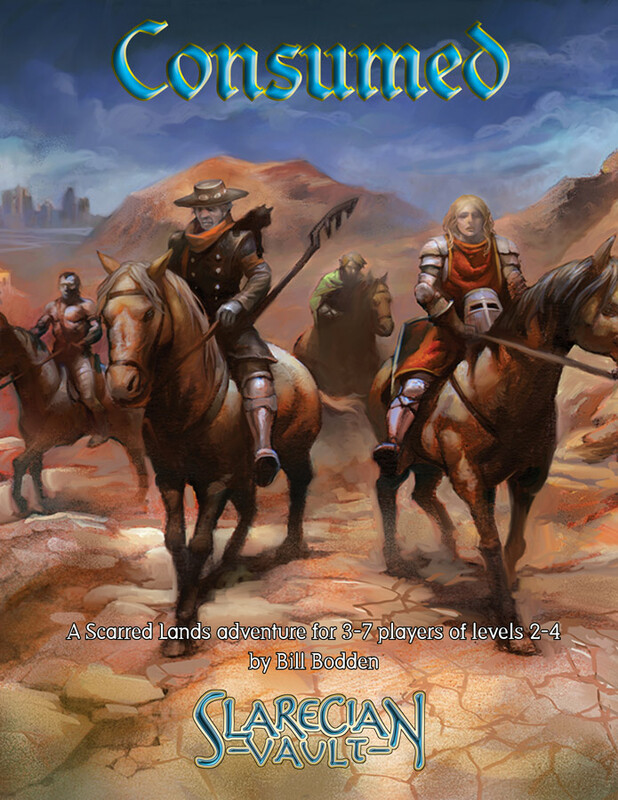 My own efforts aside, there’s a a great deal of remarkably good content in the Slarecian Vault and for Scarred Lands in general. Because of all this, I don’t really have the money to commission artwork and also to offer a decent rate, so I have to make do with what’s available. Thanks to the existing art archives, what’s available is usually quite good and highly varied.